Thanks to our Customers, we’ve received the 2014 Toyota President’s Award. 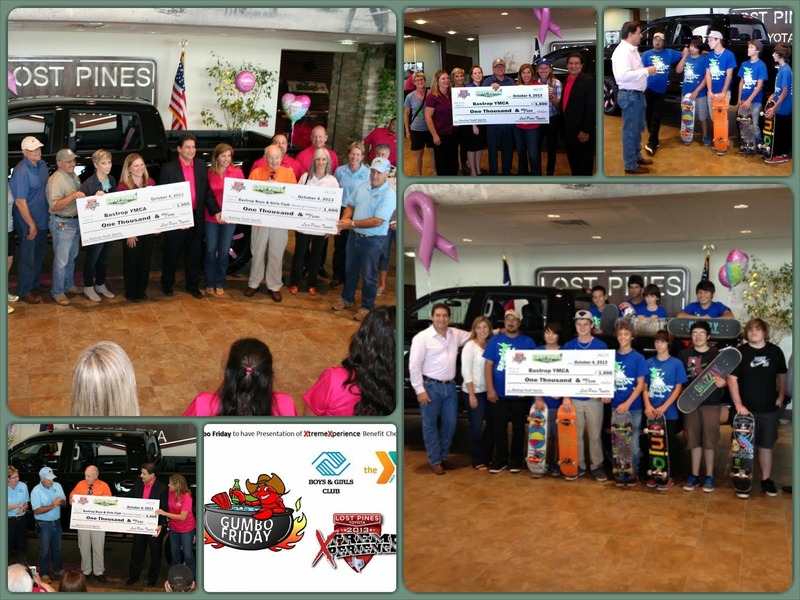 Lost Pines Toyota was able to achieve this lofty feat in its very first year of eligibility. It’s one of the highest honors for a Toyota dealership. It’s also a symbol of our continuing dedication to satisfying our customers – from the day that you buy a Toyota and for as long as you own it. From every department and every person at our dealership, we Thank You. Soon when you visit we will have this award on display that helped us receive. First Friday of the month! 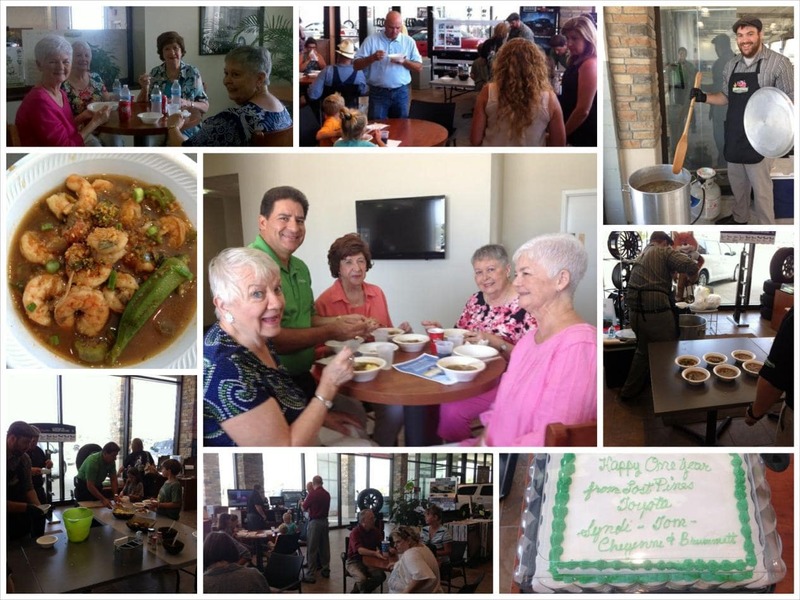 The 1st Gumbo of the Year celebrated another tradition King Cake! 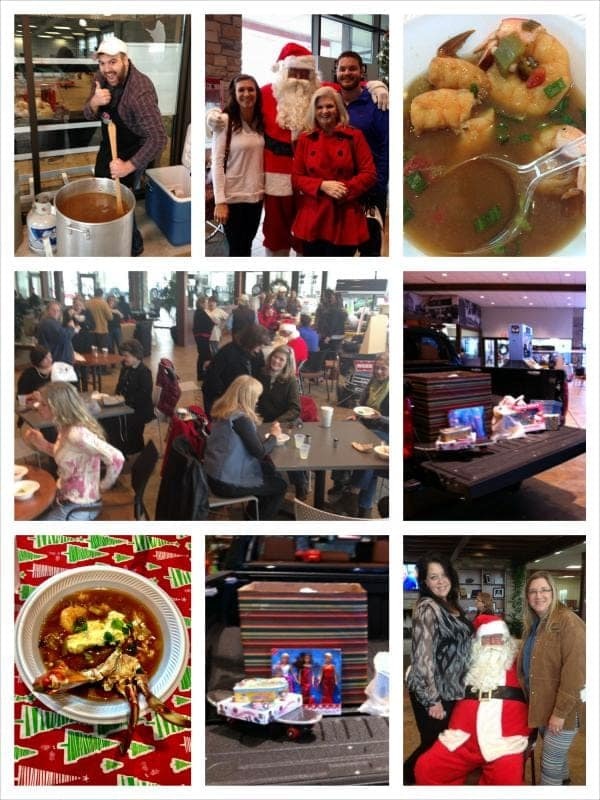 Lost Pines Toyota had Gambino’s King Cakes flown in from New Orleans for this festive event! 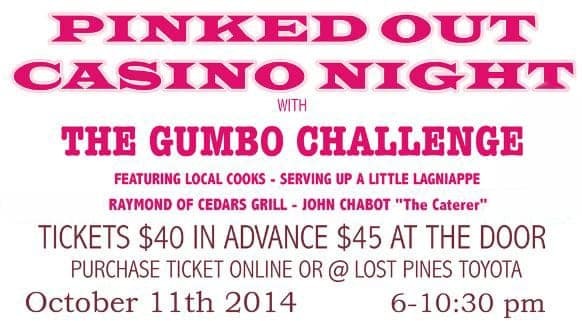 The first ever Gumbo Challenge among local cooks was instigation by Raymond Keyrouz owner of Cedar’s Mediterranean Grill who wanted to take on Lost Pines Toyota’s Gumbo Friday cook. 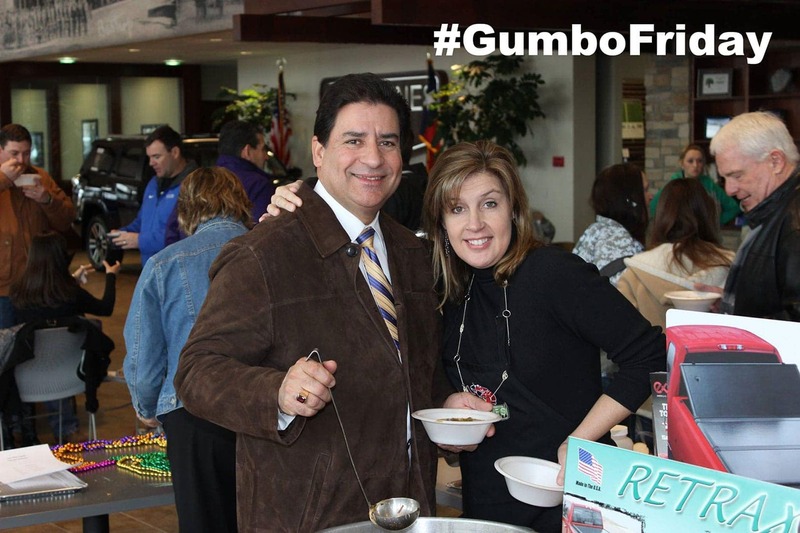 After a month of friendly sparring between the two, the idea of creating a Gumbo Cook-Off was born and then paired with a fundraising cause. 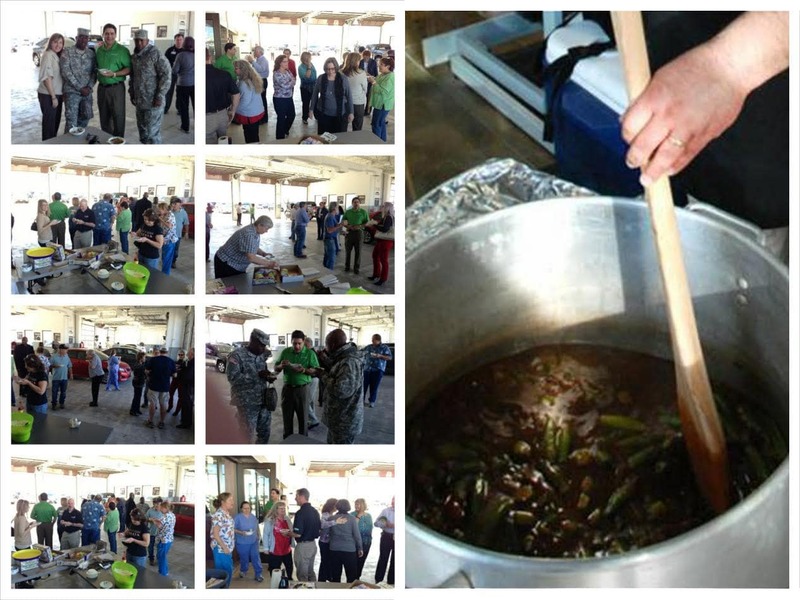 Guests were treated to 3 contrasting cooking styles and Gumbo flavors. 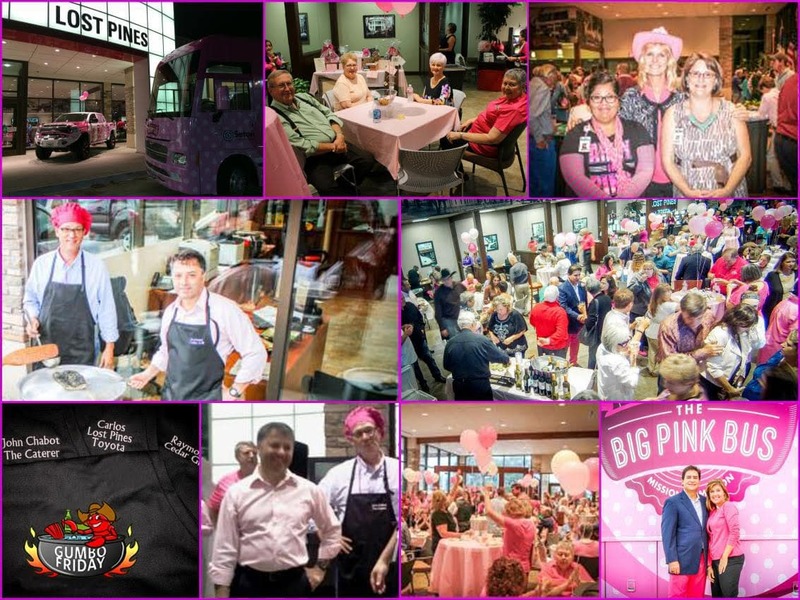 John Chabot cooked a Duck Gumbo Raymond Keyrouz cooked a Chicken & Sausage Gumbo Lost Pines Toyota cooked up a Seafood File’ Gumbo When all the votes were in, Lost Pines Toyota’s Gumbo Friday retained its crown as the Best Gumbo in Bastrop, TX. 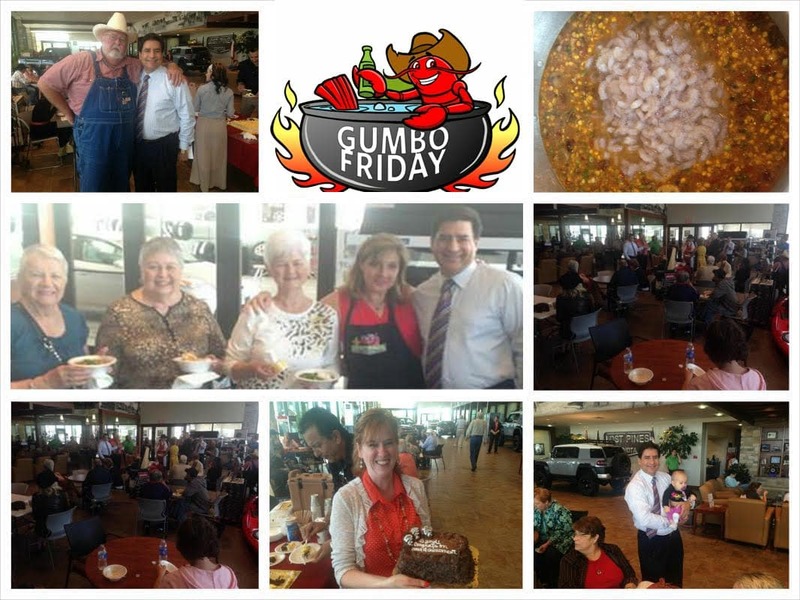 Gumbo Friday for April celebrated many employees birthdays, anniversaries and Sales associate Syndi Benson’s accomplishment of being awarded Silver Sales Society by Toyota. Being spring and crawfish season the Gumbo was substituted with Corn Maque Choux (pronounced Mock-shoe) is creamy, rich stewed corn dish that is most certainly Cajun. The trick to good Maque Choux is using very fresh corn so that you can scrape the pulp and milk out of the cobs which will give the dish it’s distinctive creaminess. Thanks to Janis Penick of Remax Bastrop who was the winning bid of $3000 at 10th annual Cowboys & Caviar benefiting Children’s Advocacy Center. 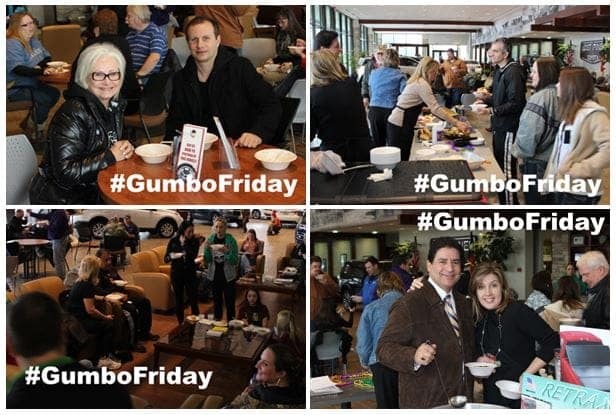 #GumboFriday is going on the Road! 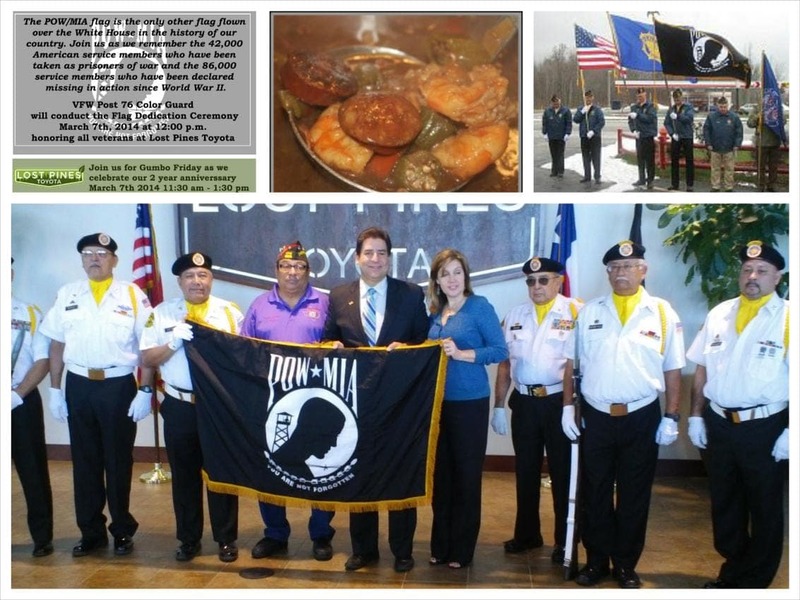 Special Thanks to VFW Post 76 Color Guard for the POW Flag Dedication – We honor those who serve and protect our Freedom! 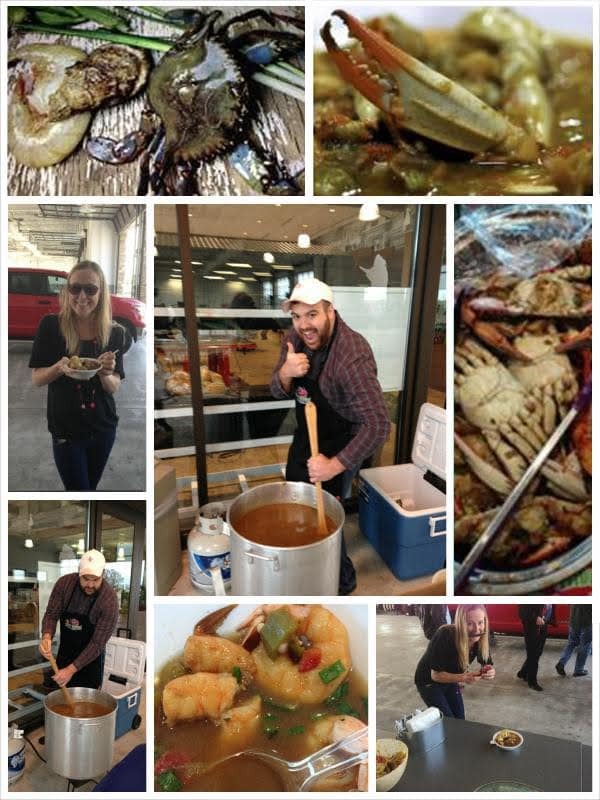 What it is about Cajun food that we love so much? For many of us, it’s those fiery spices! 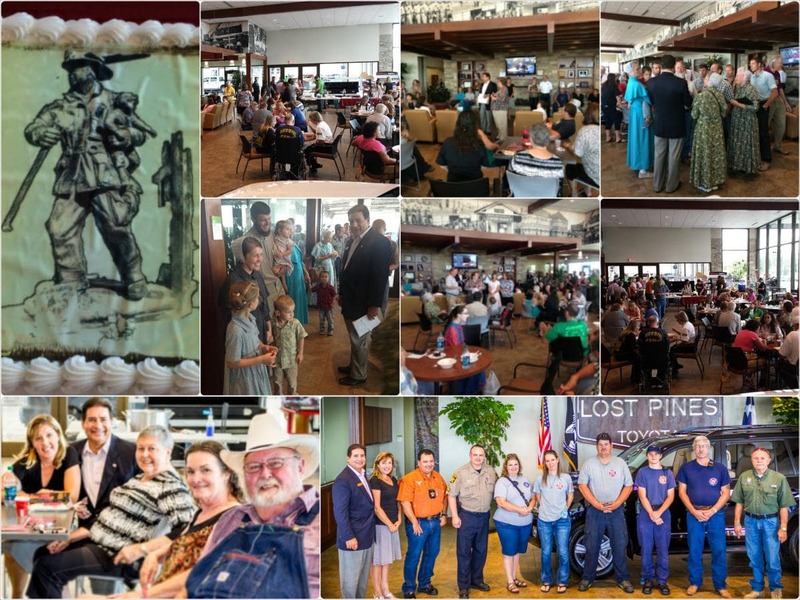 Two years ago Lost Pines Toyota initiated, as an excuse to share their love for Louisiana cuisine with their employees and new customers also became a great way to meet people in Bastrop. 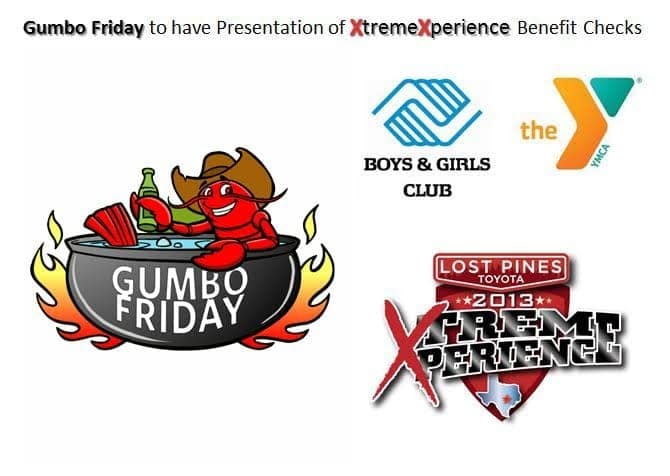 Lost Pines Toyota dedicated this month’s Gumbo Friday to the third anniversary of the Bastrop County Complex Fires and the men and women who were instrumental in the recovery process. Since the most destructive wildfire in Texas history destroyed almost 1,700 homes and burned more than 34,000 acres of land in September of 2011, local organizations and volunteers have joined forces to put some of the pieces back together. Liriano asked Chris Files, Bastrop County Long Term Recovery Team board president, and her team to join him as he spoke to the room. 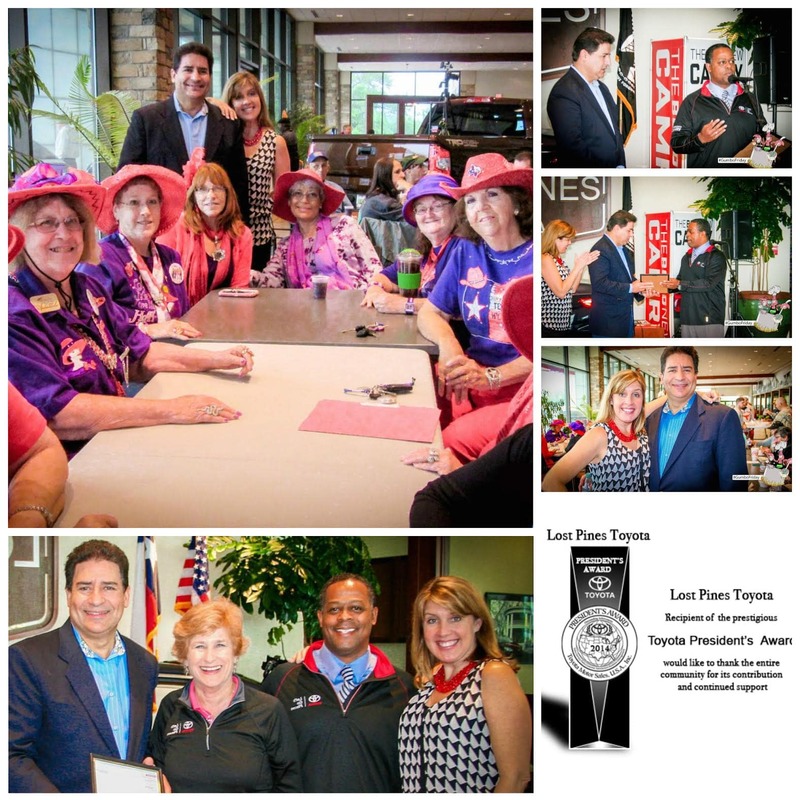 Congratulations to Laurie Liriano and her Team at Lost Pines Toyota. 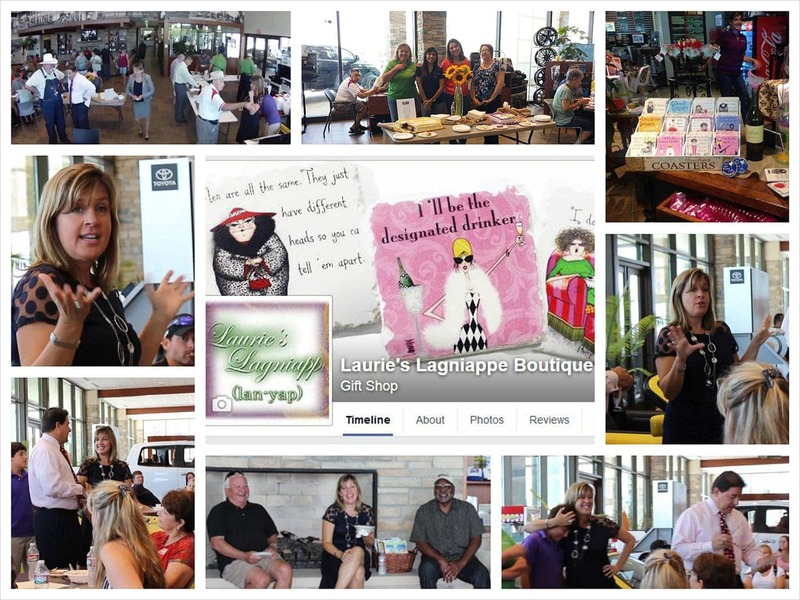 We had 300+ people show up to show their support for Laurie’s Lagniappe Boutique Opening and enjoy Seafood Gumbo. The crowd was treated to a little something extra this #GumboFriday. 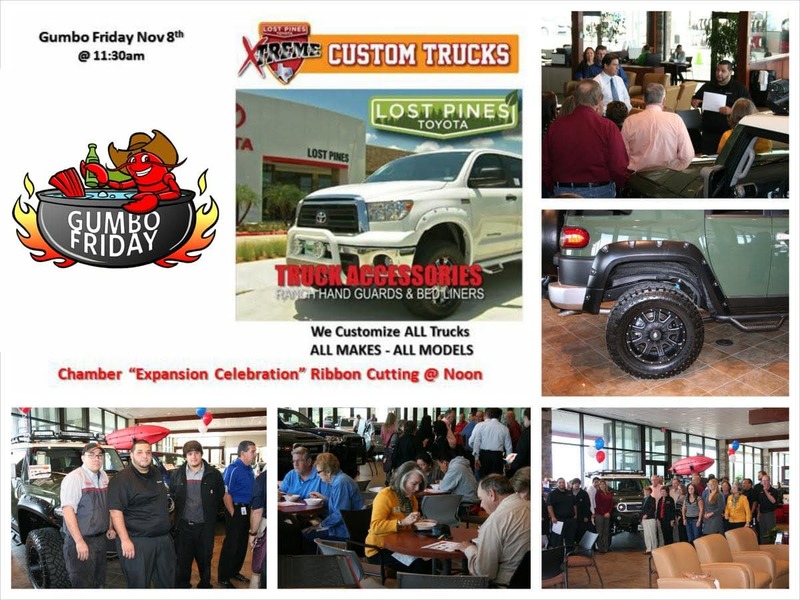 This Nov 8th Gumbo we will have the Bastrop Chamber of Commerce we will hold the “Celebration of an Expansion” event for our Xtreme Custom Truck Accessories Dept. 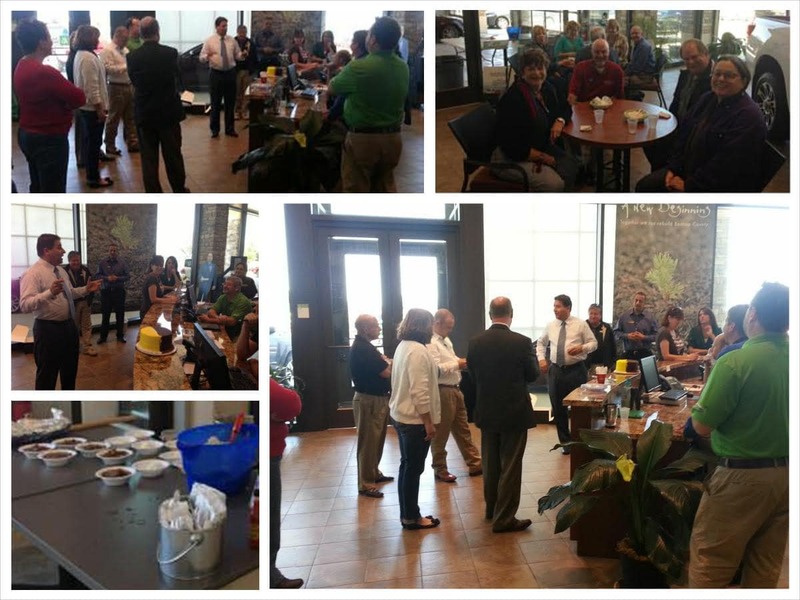 Chamber members and community will be invited by the Chamber to the event.